06.04.2007 Foreign Affairs Minister of Latvia Artis Pabriks visited Armenian Genocide Museum and laid a wreath at the memorial in memory of the victims of Genocide. 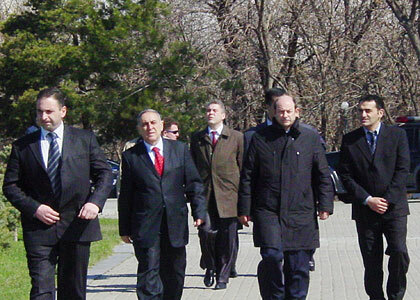 He noted at the honorable guests registry of the museum: Eternal memory of attrocities committed against Armenian People! Suffers never shall be forgotten of innocent people, woman, children. 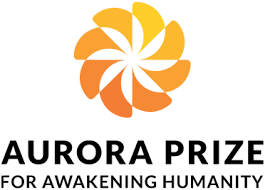 It is a proof that violence can never bring to land and the minds of people. We bend our heads on the front of innocent''. 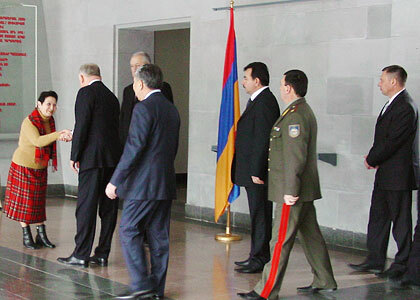 13.04.2007 CIS council of border troops commanders visited the Armenian Genocide Museum and laid a wreath at the memorial to the memory of the victims of the Genocide. 06.04.2007 About 200 members of the Armenian Charitable General Union visited the Armenian Genocide Museum and laid a wreath at the memorial to the memory of the victims of the Genocide. 05.04.2007 The delegation by the head of C.I.S. 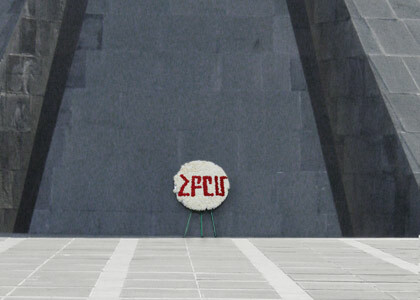 executive secretary Vladimir Rushaylo visited the Armenian Genocide Museum and laid a wreath at the memorial to the memory of the victims of the Genocide. 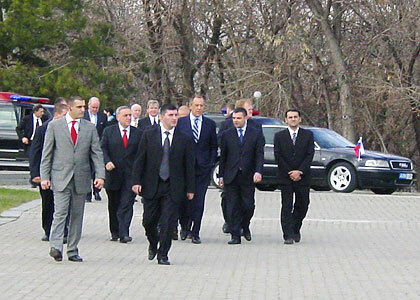 03.04.2007 The delegation by the head of Foreign Affairs minister of Russia Sergey Lavrov visited the Armenian Genocide Museum and laid a wreath at the memorial to the memory of the victims of the Genocide.